At Comcast Washington, innovation is at the heart of our company and our community. There is no better demonstration of that than the new Hive Media Lab, where Comcast welcomed community leaders, government officials, business leaders and influencers to a grand opening event on Feb. 9. 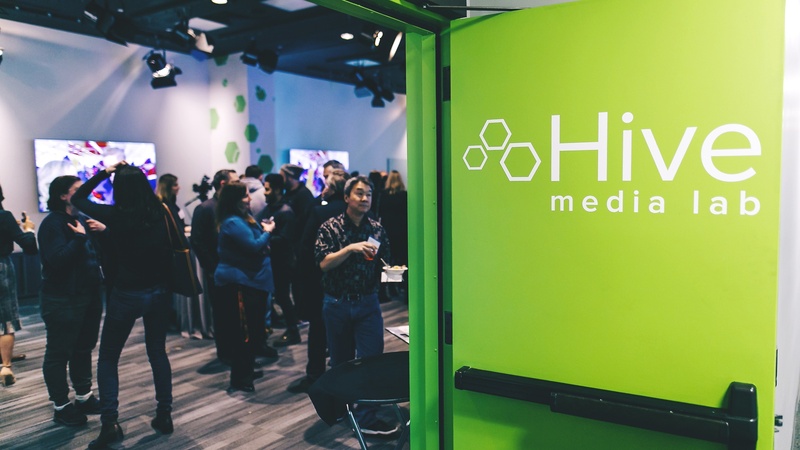 The first of its kind in the country, the Hive Media Lab (or “The Hive”) was born through a partnership between Comcast NBCUniversal and Cascade Public Media (KCTS 9 & Crosscut Media). Located in the heart of downtown Seattle – next to the iconic Space Needle, no less – this state-of-the-art, flexible collaboration and production space aims to make a difference to the media industry and beyond. The Hive provides an innovation space to the public with a focus on media outlets, non-profit organizations and entrepreneurs. It’s designed to be a place for media and technology organizations to wrestle with the challenges facing media’s future. For instance, if a non-profit and a media organization wanted to explore a joint project, they could apply to use the space and resources available at the Hive Media Lab. As the founding sponsor, Comcast provides the technology to support the 2,000 square foot facility including one-gigabit-per-second speed internet service. In addition, The Hive features a number of high-definition displays, each operating on our flagship X1 television platform in the main event meeting space and in the conference room. The Hive is the latest example of our commitment to the Puget Sound region and to the 144 communities we serve across the state of Washington. Through our nearly $1 million investment of in-kind and financial support in The Hive, we are making an impact in our communities – here in Seattle and beyond.